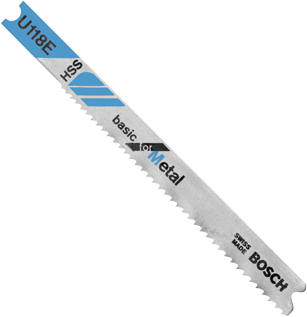 Basic for metal blades are the economical choice for cutting sheet metal and thin metals (ferrous and non-ferrous). Ideal for straight-line and fast cuts. U-shank design.